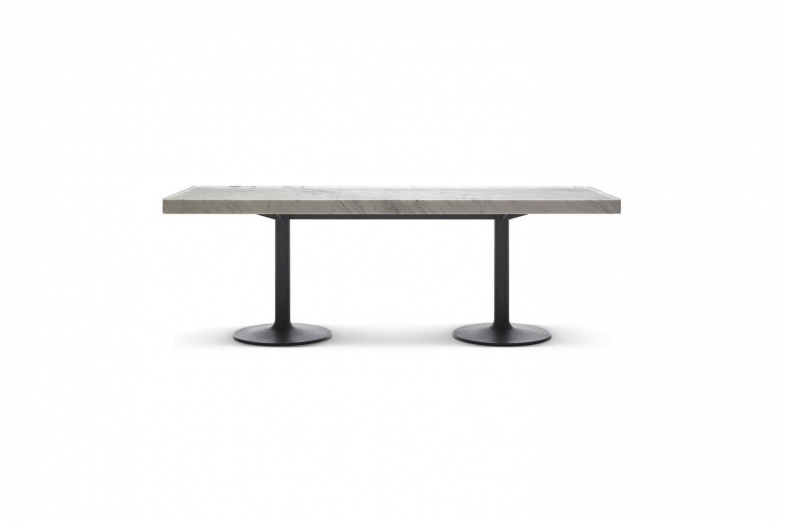 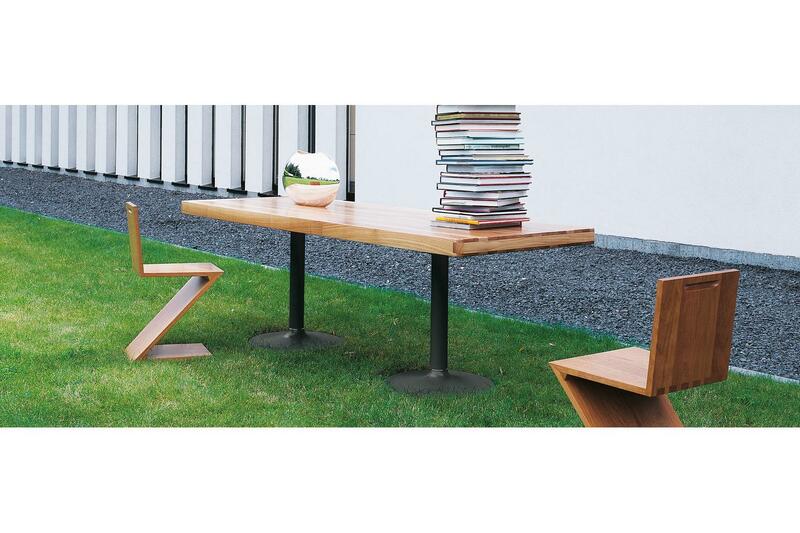 Table with grey enamelled steel structure and cast iron base. 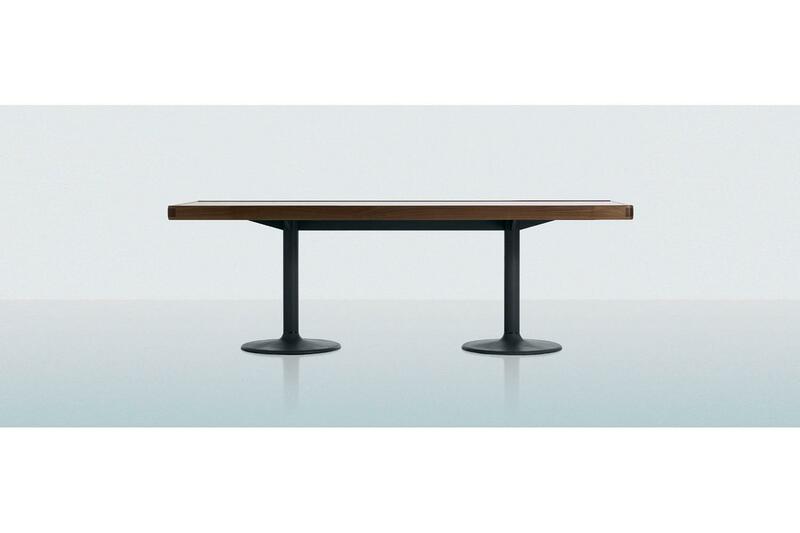 Top in natural walnut, length 220 cm (86.6'') and in white Carrara marble, length 213,5 cm (84''). 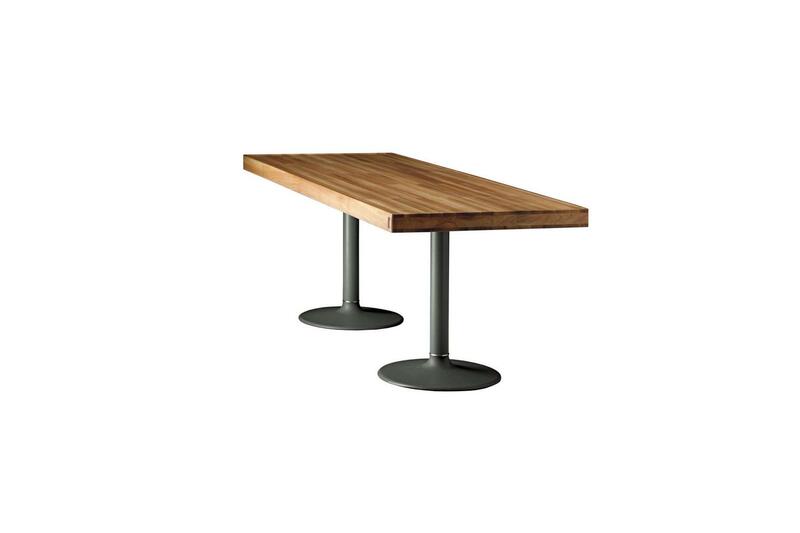 This model was designed by the authors in two different versions: the first was made for Le Corbusier's Paris apartment in rue Nungesser-et-Coli, in 1934 and the second one, with a slate top, was designed for the Maison du Jeune Homme in Brussels, in 1935.